Thiruvananthapuram, October 9th 2017: To accelerate the growth of tourism in Kerala, the Department of Tourism has launched a three-year long Continuous Tourist Survey 2017-20 (CTS). The survey is conducted in collaboration with M/s Datamation Consultants, selected through a transparent tender process. The Government of India will provide financial assistance of Rs. 25 lakhs, for the survey. During 2010-13, Kerala Tourism had conducted a similar Continuous Tourist Survey (CTS). One of the key findings of that survey was that a foreign tourist stays an average of 18 days in Kerala, while spending Rs. 81,000 on average. The Tourism Department is regularly collecting monthwise statistics of foreign as well as domestic tourists visiting Kerala, through the Statistical Investigators of Economics and Statistics Department in census method from all accommodation units in the state. In addition to this, the Continuous Tourist Survey (CTS 17-20) is conducted. This is a sample survey intended to study in depth the interest of tourists, their age and demographic details, reasons for visit and nature of tours undertaken. A mobile application will be used by the enumerators of M/s Datamation Consultants to collect various details. The survey will cover not only tourist destinations but also hotels, house boats, home stays, ayurveda centers, restaurants, tour operators etc. The Minister for Tourism Kadakampally Surendran, said, “Through the data obtained from the survey, the Tourism Department will evaluate the growth of tourism. 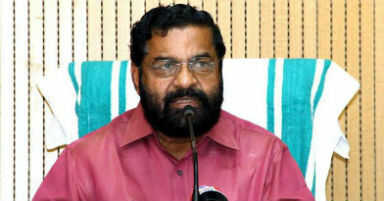 The survey will provide us an accurate picture of tourists, likes and dislikes and help us to plan accordingly.” He added that Kerala has been following a comprehensive tourism development plan to double the number of domestic tourist arrivals and increase foreign tourist arrivals by 50%, by 2021. Speaking about the growing popularity of Kerala as a tourism destination, Dr. Venu.V, IAS, Principal Secretary, Department of Tourism, Government of Kerala stated, “With over 1 million foreign tourists and 13.1 million domestic tourist arrivals, Kerala has been witnessing tremendous growth in tourist traffic since the last couple of years. Kerala has now become a trendsetter in the Indian tourism industry and we will work to ensure that tourism continues to grow.”The continuous efforts by Kerala Tourism in highlighting the strength and unique tourism products offered by the state and the simultaneous investment in the infrastructure development has helped in making Kerala a visible global brand in domestic and international markets. The fact that for the last five years Tourism has been contributing 7-10% of the state’s GDP summarizes the importance of tourism sector in the economy of state and livelihood of the people.